Polotsk – the city which became the primogenitor of statehood on the Belarusian earth. The majestic St. Sophia Cathedral aspiring to heaven - a symbol of equality of Polotsk with Constantinople, the Spaso-Evfrosiniyevsky monastery - the center of the Belarusian Orthodoxy and spirituality in which venerable relics of Evfrosinya Polatskaya. But, having only come to be here, you will slightly open a history curtain in 12 centuries, and behind it still: the geographical center of Europe, the biggest monument to Francisk Skorina in the world, Borisov stone granting desires, ten unique museums and a set of bridges. For corporate groups by prior arrangement is possible to visit such museums as Polotsk Museum and Library Simeon of Polotsk, Polotsk Museum of Military Glory, Polotsk Museum of the History of Architecture of St. Sophia Cathedral and etc. In the buildings of the ancient monastery of Epiphany you look around the exhibition of Polotsk Belarusian museum of printing. The museum is dedicated to the book in all its aspects, from the first handwritten scrolls to contemporary books, acquaints visitors with the history of literature, writing articles, book illustration and printing. It is the only museum of this kind in Belarus. 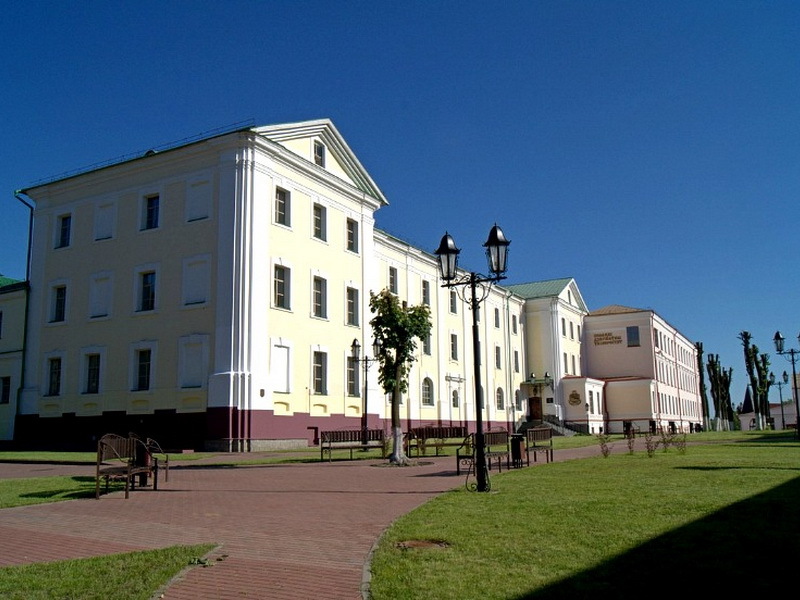 Jesuit коллегиум in Polotsk – the first Jesuit educational institution in the territory of modern Belarus. Thanks to teaching only in local language, to high education level, big library and laboratory, the number of students increased from 5 to 450 people. 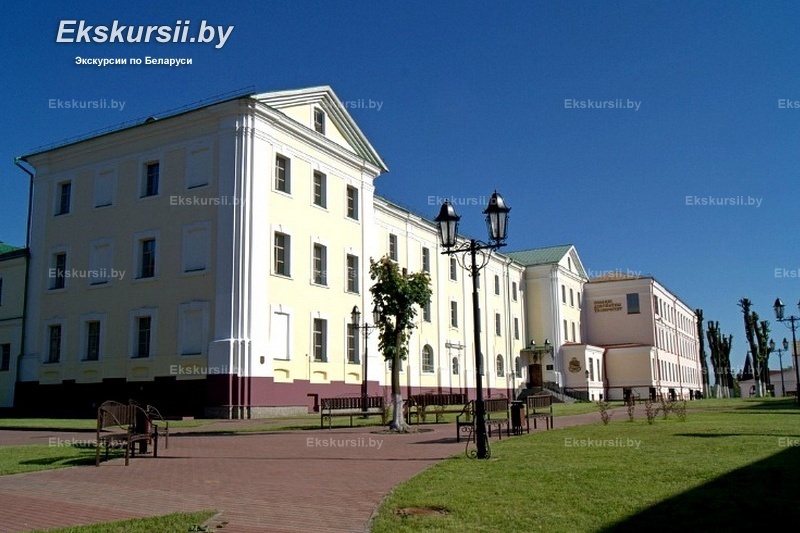 The richest коллегиум was the cultural and educational center of the Polotsk lands and received the high status of academy where 700 people studied already. Here continues the existence tradition of education – in an architectural monument of Baroque style the Polotsk State university was located. In a kollegiuma the exposition "Reconstruction of the project of Gabriel Gruber "The mechanical head is open" - it is executed in Socrates's image and is ready to answer all your questions in 5 languages. 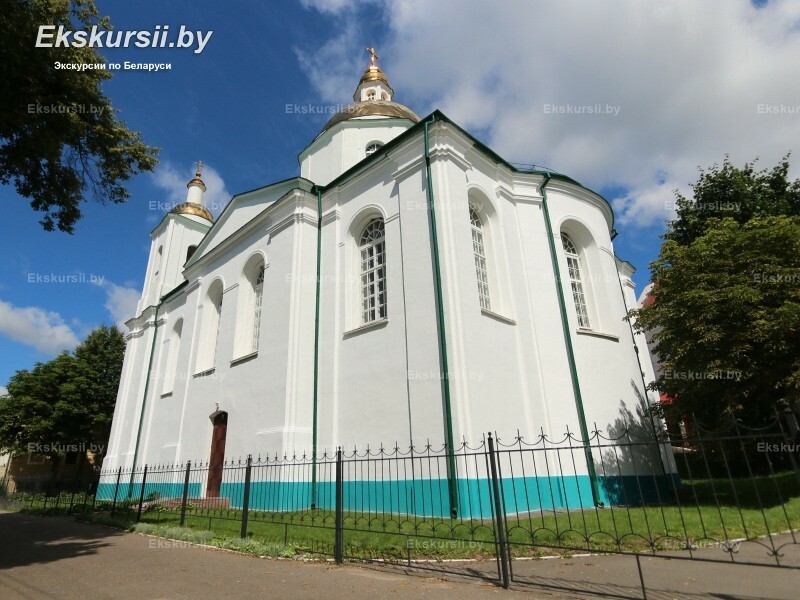 The Polotsk earth long since is famous for the history, social and religious life. Among other witnesses there is development of religion in the city, pilgrims Sacred and Bogoyavlensky Polotsky attracts the monastery. For 5 centuries of existence he repeatedly burned and burned down completely, was reconstructed and received guests of honor. At the end of the 18th century he was visited by Catherine II then it noticeably changed – the two-storeyed big case was completed. Today in it the Museum of the Belarusian publishing and the museum library of Simeon Polotsky who taught at brotherly school before went in Moscow to train Ivan, Sovyyu and Fedor – children of the Russian tsar Alexey Mikhaylovich is located. Someone sees in them memorable signs of the prince, someone boundary marks or track signs, someone entreaty about the help – but all of us understand that it is unique and remarkable witnesses of legendary events which occurred tens centuries ago. 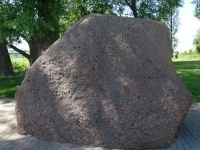 It is about the whole series of huge stones – boulders - with the cut signs and any inscriptions – you will see one of them. 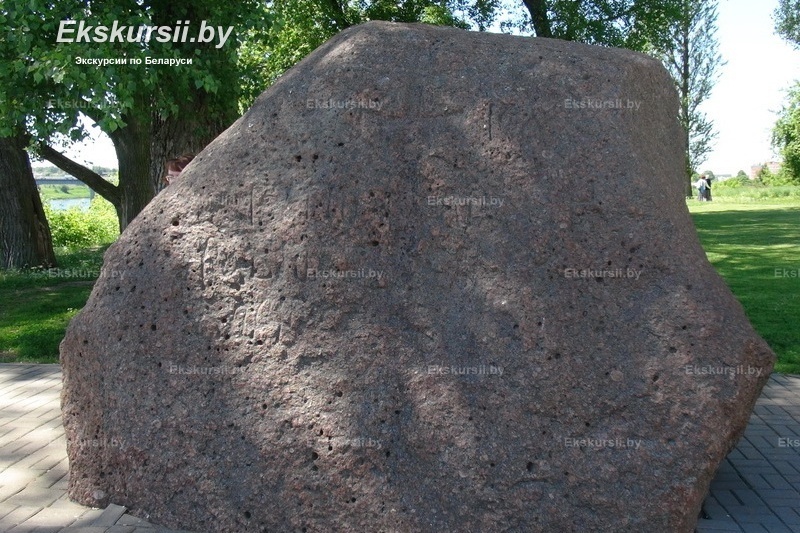 The stone which has received the name Boris is brought to the Polotsk Sofiye and majestically welcomes guests. And on him an inscription "Jesus Christ. My God pomoz to the slave Boris". From what party you wouldn't drive up to the city – you will see a majestic and graceful baroque silhouette of the Polotsk Sofia. Have built the most ancient Christian shrine and the first stone temple in Belarus, one of the earliest in Ancient Russia 10 centuries ago - the copy of the Byzantine monastery. Now, from initial shape, only the crypt, three apses, a part of internal columns and finishing of the base have remained. Today St. Sophia Cathedral - the first representative of art who has incorporated lines peculiar to the Polotsk earth. Church services are stopped even here at the beginning of the 20th century: now it is the unique museum and one of the best concert halls of Europe where you will hear fine body or chamber music. The young beauty – the princess who decided to become contrary to will of the father the nun, and in a consequence the mother superior of convent, the first in the territory of Belarus, – Euphrosyne of Polatsk. Exactly thanks to it in Polotsk there was a Spaso-Evfrastiniyevsky monastery, and in it a spiritual symbol "Zyaml_ Stalemate Belym_ Wing _" - an invaluable cross of Eufrosinia. The orthodox convent is built 9 centuries ago. Its first temple – the Spaso-Evfrosiniyevsky church decorated with the most ancient frescos – was built only in 30 weeks and became the best, from the remained constructions, an example of drevnepolotsky architecture. 24-September-2016 Экскурсовод Павел отлично проводит экскурсии. Большое ему спасибо за любовь к истории!